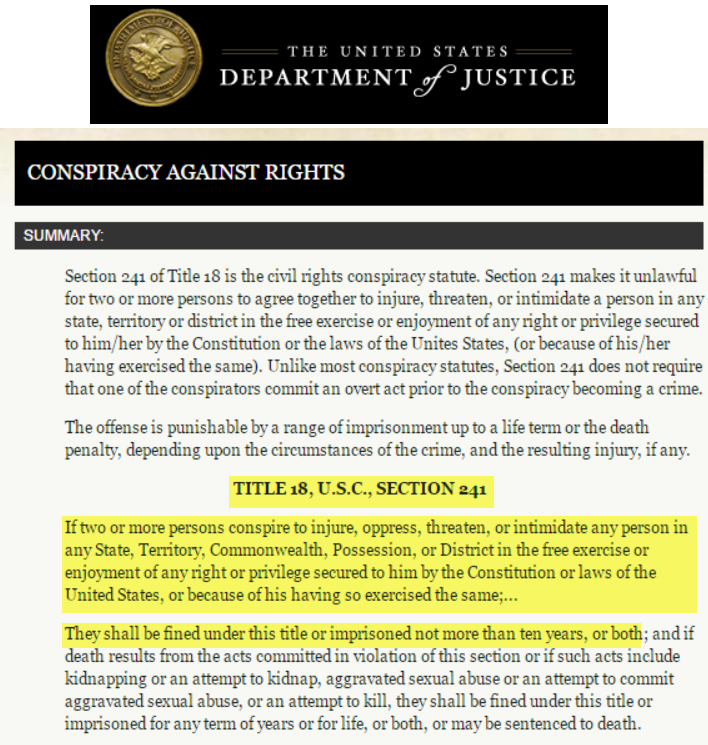 The White House and Democrat state attorney generals are conspiring to violate the First and Fourth Amendment rights of people who disagree with the White House climate scam. The White House is openly committing a felony covered under civil rights law. The US Government has long known that runaway global warming is not possible. 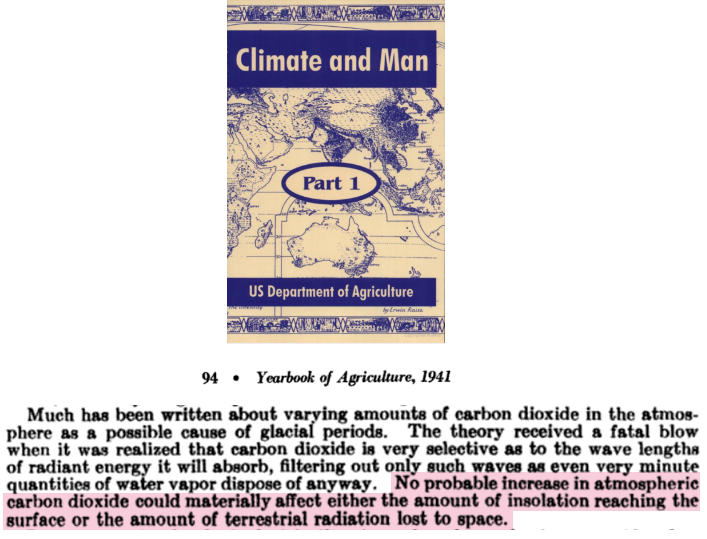 A 1941 Department of Agriculture climate report covered this. 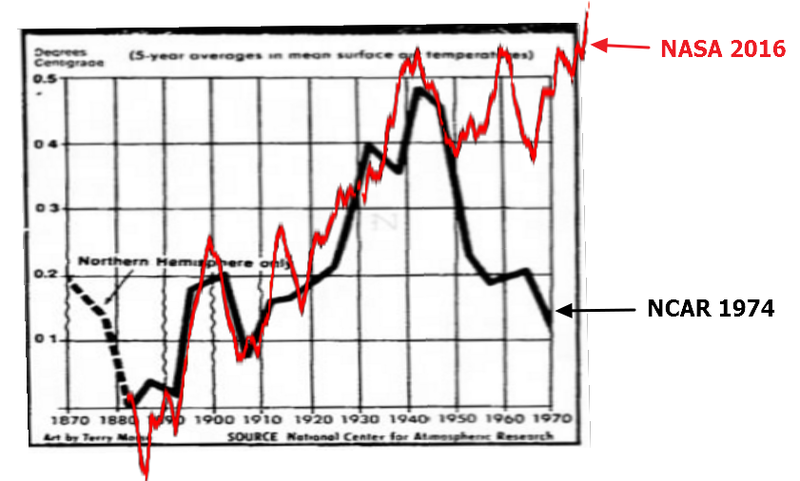 In 1961, there was unanimous consensus that the Earth was cooling. 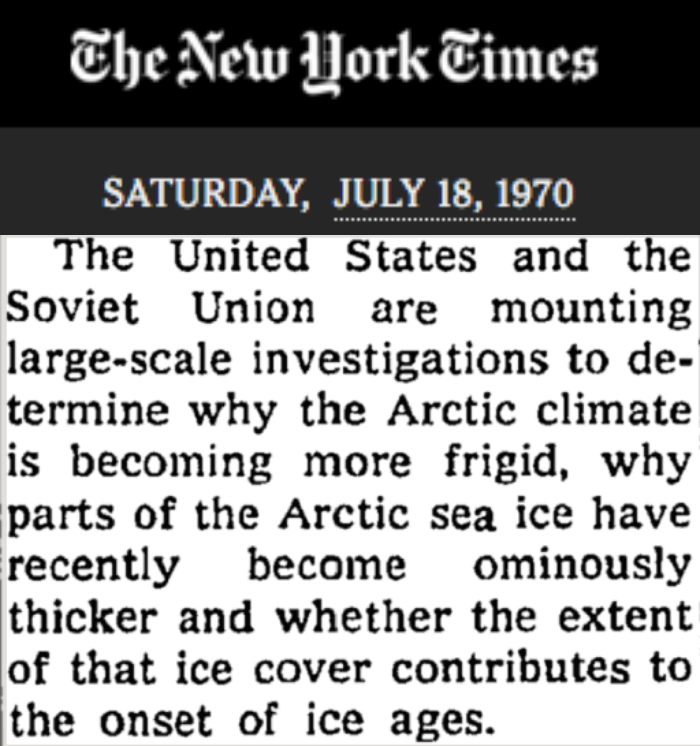 By 1970, the US and Soviet Union were worried about a new ice age. 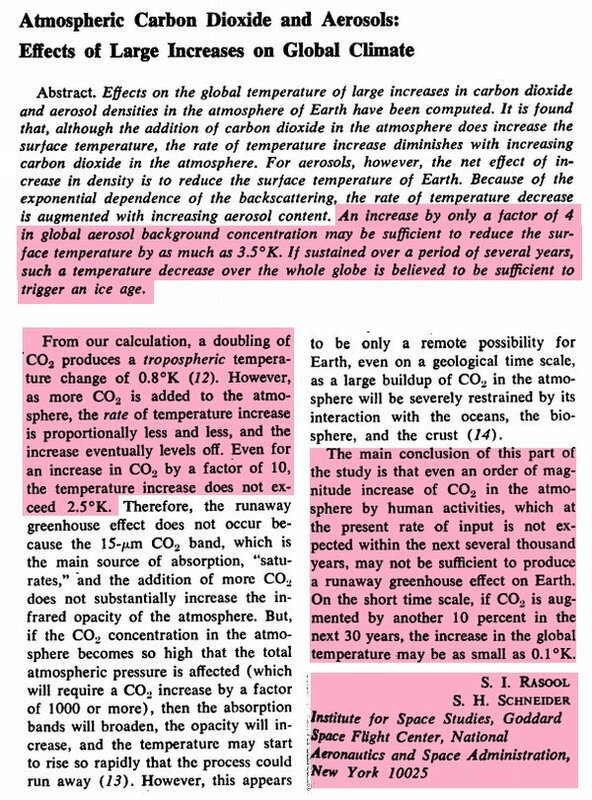 In 1971, NASA’s two top climatologists reported that a runaway greenhouse effect is not possible. 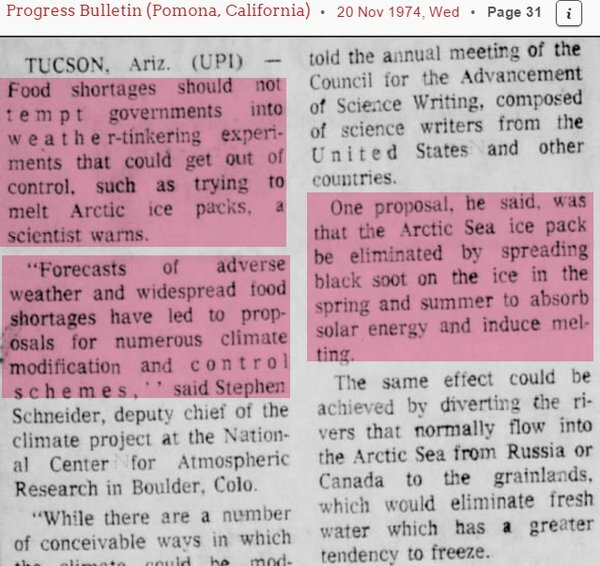 In 1972, the National Science Board warned of a new ice age. In 1972, the top climate expert in the UK predicted global cooling. In 1974, the American Association for the Advancement of Science (AAAS) reported that global cooling was occurring and dangerous. 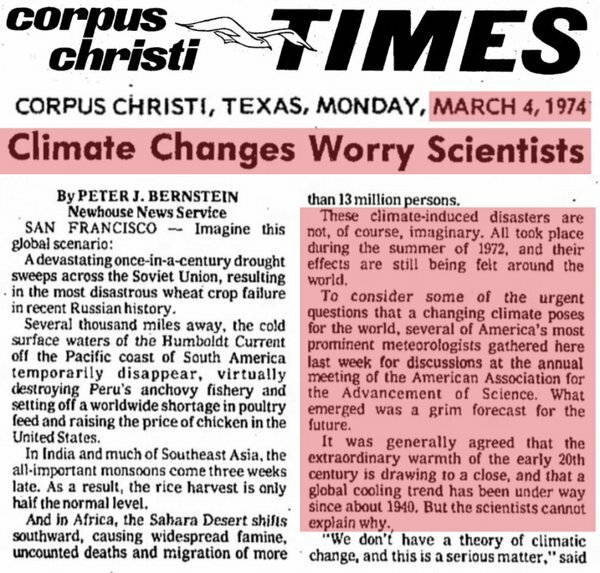 That same year, the top climatologists from the National Center for Atmospheric Research (NCAR) reported the same thing. Global cooling as occurring and a threat. Climate experts considered melting the Arctic to stop global cooling. 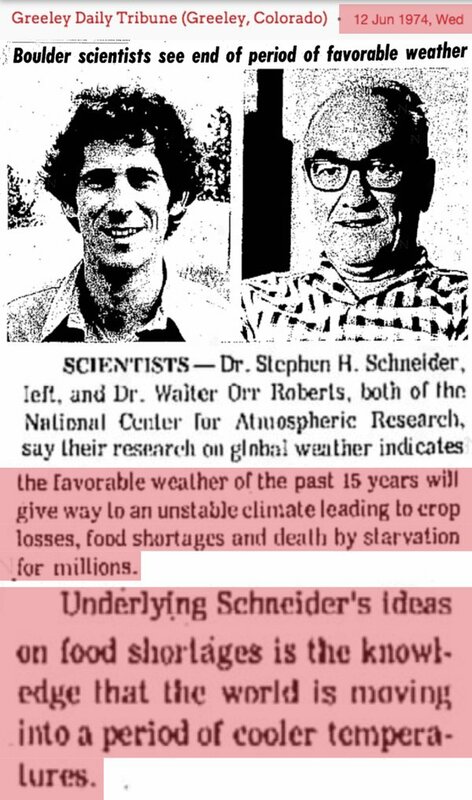 In 1975, the world’s climatologists agreed that we must prepare for the next ice age. In 1976, the CIA warned that global cooling was occurring and a serious threat. 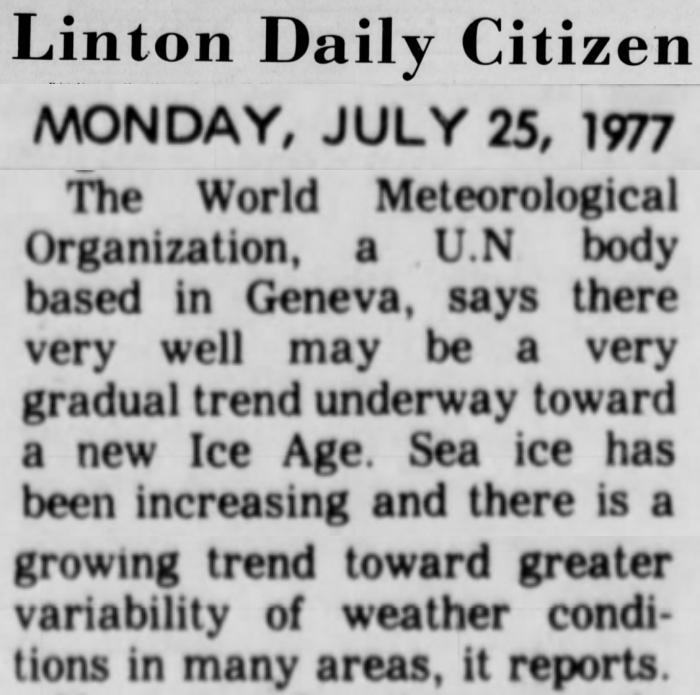 In 1977, the UN reported that Earth may be headed into a new ice age. In 1978, government experts reported that there was no end in sight to the 30 year cooling trend. The White House has a global warming agenda and doesn’t want people to remember the post-1940 cooling, so they had government agencies alter the data to make the cooling disappear. NASA has massively altered their own data to increase warming. There is no global warming crisis. There is a crisis of the White House having government agencies manipulate data, in pursuit of their global warming agenda. There is also a crisis of the White House attacking the Bill of Rights in pursuit of their global warming agenda. Great points all. All of this is well known to anyone with training in the sciences, however for the vast majority of warmist true believers all this reason and evidence will be unconvincing. Remember, reason and evidence will not dissuade someone from a position NOT arrived at through reason and evidence. The warmist position is a religion and has nothing to do with science. Wonderful Historical Display! I’ll try to spread it around.